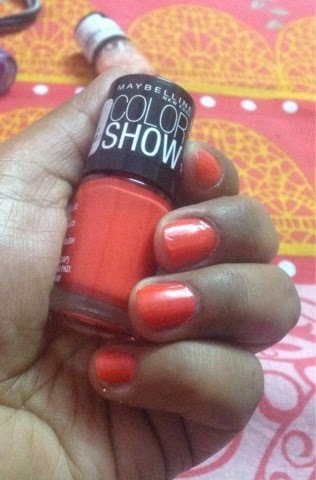 I have fallen in love with the bright and juicy hues from Maybelline Bright Sparks range . Maybelline New York has just launched 8 new shades in the Color Show range by the name Bright Sparks,inspired by the New York Fashion Week .Though not all are sparkly but yes they are bright and eye catchy .The range includes glamorous shades like Glowing Wine, Power of Red, Firewood Brown, Blazing Blue, Flash of Coral, Spark of Steel, Burnished Gold and Molten Maroon. 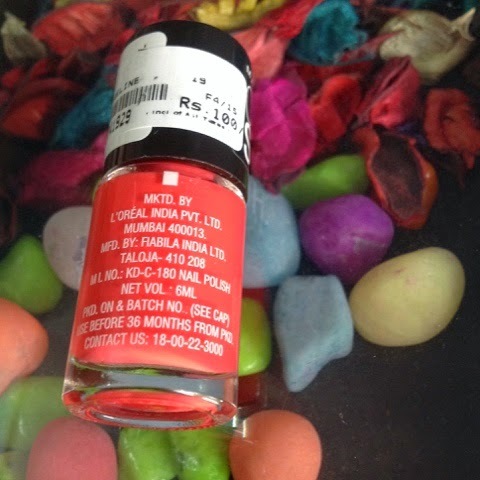 I have shared the reviews of Power of Red and Spark of Steel with you here. 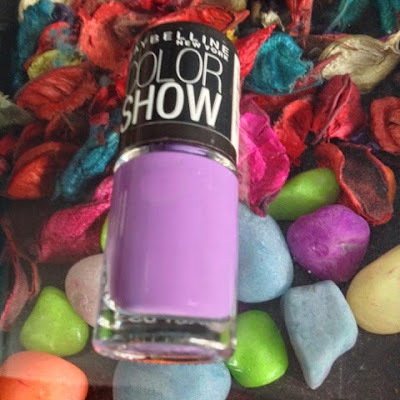 Today I shall further review Lavender lies and Flash of Coral for you . 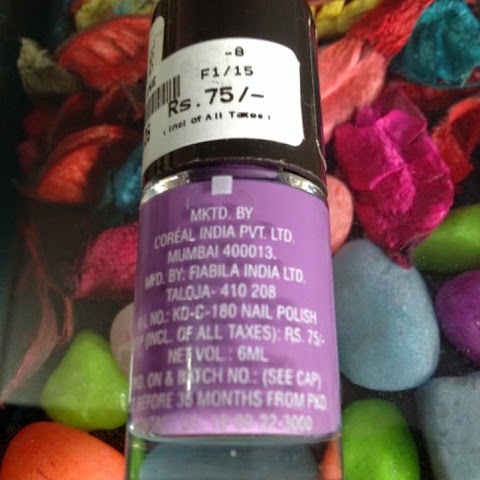 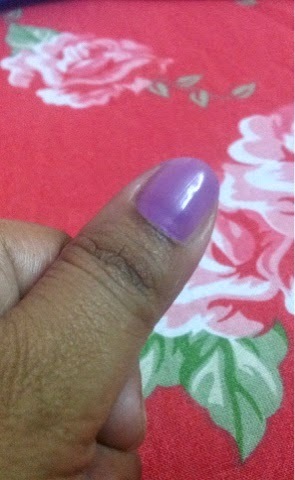 Price - Rs 100 /- for 6ml .All shades are priced differently which is something I did not understand . 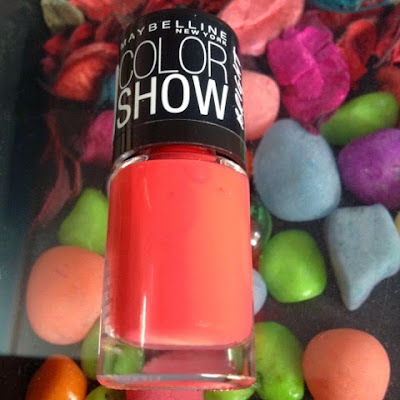 This is a lovely coral which will look good on fair to medium skin tones .It does not contain any glitter and lasts for 2-3 days without a top coat . The Lavender Lies is a pure Lavender nail colour suitable for all skin shades from fair to dusky .It is a very summery looking shade and I love it . Final Verdict - I give it a 4.5/ 5 .Minus points for not so long lasting power but otherwise great shades to flirt with in summers .So girls what are you waiting for ? Let your nails do the talking now .